National Nature Reserves (NNRs) showcase some of the best wildlife in Scotland. As the showcases, they’re set up to make it easy for people to get into and enjoy our most spectacular wildlife hotspots. Of the 47 NNRs in Scotland, 9 of them are in and around the Cairngorms. 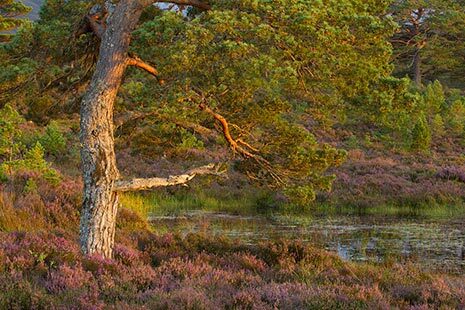 These NNR's are the best places to experience the special natural features of the Cairngorms, from wild mountain plateaux and tumbling rivers to the quiet seclusion of a Caledonian pine forest.They are also refuges for some of the countries most endangered species. The NNR's are Aberrnethy, Craigellachie, Glen Tanar, Insh Marshes, Muir of Dinnet, and Invereshie and Inshriach, Glenmore, Corrie Fee and Creag Meagaidh. What outstanding wildlife have you seen? Share your story of encounters with outstanding wildlife. Keep up to date with where and what to see.